Home » Blog » Do you have high cholesterol? Do you know what to do about it? Many Americans have levels of “bad” cholesterol that are too high, or levels of “good” cholesterol that are too low, but they aren’t sure what to do about it, according to the results of a survey by the American Heart Association. This is an important knowledge gap because high levels of the wrong kind of cholesterol are a risk factor for heart disease and stroke. “We found even among those people at the highest risk for heart disease and stroke, overall knowledge was lacking and there was a major disconnect between perceptions about cholesterol and the significance of its health impact,” said Mary Ann Bauman, M.D., a member of the American Heart Association’s cholesterol advisory group. Cholesterol is a waxy substance that is produced naturally by your body and naturally occurring in foods, especially meats and full-fat dairy products that are high in saturated and trans fats. Cholesterol is carried to cells by either low-density lipoprotein, or LDL, or high-density lipoprotein, or HDL. LDL is known as “bad” cholesterol because it creates deposits in arteries. If cholesterol builds up in your arteries, it can block the normal flow of blood. If a blood clot forms and breaks loose, it can travel to the brain and cause a stroke. If cholesterol-caused plaque blocks an artery, it can cause a heart attack. Eat less saturated fat, which comes from tropical oils and animal products, such as cheese, fatty meats and ice cream. Avoid trans fats, which are often found in baked, fried and snack foods, from cookies to French fries. Choose low-fat or skim milk, cheese and yogurt. Eat high-fiber foods, such as oat bran, lentils and beans. Eat heart-healthy foods, such as vegetables and fruits. To overcome the hurdle identified by the American Heart Association – not knowing what to do about high cholesterol – ask your health care provider for a cholesterol screen, or lipid panel. It’s the only way you’ll know about your cholesterol levels because there are no symptoms for high LDL. A provider will draw a sample of blood, usually from your arm, and test it for cholesterol and other lipids. If the results show your cholesterol levels are higher than they should be, talk to your provider about how to bring them down. 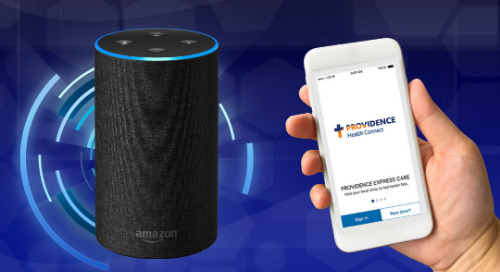 You can find a Providence provider near you in our directory.